MINI - $25 Off Any Service! If you need Mini service, San Ramon Valley Import Center should be your first choice. From vintage to brand new models, we love Mini Coopers as much as you do. 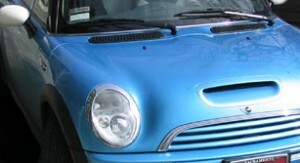 Our Mini Cooper service will blow you away! When it comes to your favorite ride, we know you’re looking for the absolute best, and we aim to give it to you. Auto Repair Service You Can Depend On! Mini Cooper owners are famous for how deeply they love their cars. Our Mini service technicians in San Ramon love them just as much. All Mini Cooper service is backed by a guarantee. We are positive that any auto repair service or maintenance will be performed to your satisfaction. Whether you want to maintain your new Mini or restore your classic car, we can take care of all of your Mini Cooper service needs. Our auto repair shop in San Ramon performs the most essential Mini services, including rebuilding your vintage transmission or bringing your exhaust system up to code. We’ll make sure your fun, zippy ride is always road ready. Our facility is capable of doing everything from scheduled maintenance, tire alignment to engine diagnostics, smog check, oil change and more. We’re your one-stop shop!